Furniture is moved quite often. People move their furniture when moving house. Stores move furniture when relocating. All furniture should be handled with care. Antiques should be moved with even more care than ordinary furniture. Antiques are irreplaceable items. In most cases, they hold sentimental value as well as financial value since they are often family heirlooms. Antiques sold in stores are usually collectors items and thus worth a lot of money. This is why owners will not entrust these items into just anyone’s care. The best way to move your antique store is by using reputable and established furniture removalists in Melbourne. Since these items are always valuable, you should only entrust moving them to professional furniture removalists in Melbourne that specialize in antique removal as only they will be able to deliver the level of care that your antiques need. You should first have your antiques appraised and insured in the event that you need to make a claim. By photographing your antiques from different angles, you will also gain leverage in the event that you are claiming for damages. 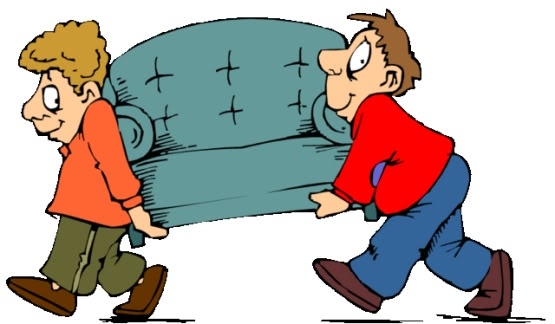 It is best to inform furniture removalists in Melbourne in advance of any loose shelves or pieces of furniture. If you would like to make sure that your antiques have extra protection, especially during long transits, the specialists will recommend that you use blankets to wrap around the furniture and objects for extra cushioning. These are steps that you can take to put your mind at ease. What Will an Antique Furniture Removalist Do? The antique furniture removalists in Melbourne will take many precautionary steps to ensure that your items are moved without a scratch. They will usually use blankets that are made from shock resistant poly-bubble to wrap around your fragile items. Plastic protector bags are used for softer furniture like armchairs and lounge suites. They also use specialized wooden crates when moving highly valuable antique objects. On request, many dedicated antique removalists will go the extra mile by individually wrapping items. Once they arrive at your new place, antique furniture removalists in Melbourne offer superior service by unloading, unwrapping and even placing your antiques inside your new location with great care. Antiques are quite durable considering they have been around all this time. You should, however, make sure that you choose a removalist company that you feel confident can deliver on their promises. There are many companies offering to move your goods with great care, although only a few furniture removalists in Melbourne actually deliver on these promises, particularly when it comes to specialized items. Before hiring a company, make sure that you speak to them about your concerns and also get a step-by-step explanation of the entire process. All you need to move your antiques from point A to point B is a team of competent and dedicated furniture removalists in Melbourne. Antiques are precious objects that have been around for generations and with the help of people who care, they will be around for future generations as well. Put your trust in a company like Fragile Removals & Storage, that cares about your antiques as much as you do.